LONDON – Overweight adults with type 2 diabetes who can maintain their current weight may reduce their health care costs in the long term, a recent study suggests. From 2010 to 2013, researchers looked at whether maintaining weight, along with keeping blood sugar under control, had an impact on health care costs for people with type 2 diabetes. 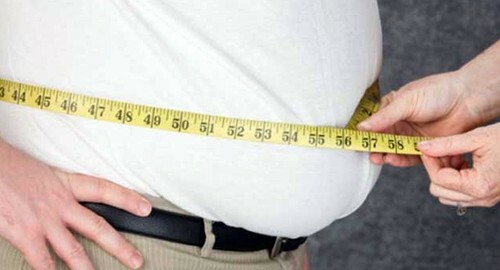 The average patient in the study was obese. Even so, three years after the study began, those who maintained their weight had reduced their annual healthcare costs by $400, on average, regardless of whether their blood sugar levels were well controlled. By comparison, those who gained weight and had uncontrolled blood sugar had an average cost increase of $1,473. Almost 90 percent of patients with type 2 diabetes are affected by overweight or obesity, the study authors point out in the journal Diabetes Care. Using medical records of Kaiser Permanente members in the Oregon and Washington area, Nichols and colleagues tracked 8,154 adults with type 2 diabetes from 2010 through the end of 2013. Overall, 81 percent of participants gained less than 5 percent of their weight, but only 38 percent managed to maintain blood sugar control, as determined by the levels of hemoglobin A1c in their blood. Patients who maintained their weight within 5 percent of what it was at the start of the study had a reduction in costs of about $400 regardless of A1C. Patients who didn’t maintain their weight had modestly increased costs if they were able to keep their blood sugar under control – about $387, on average, reflecting a 3 percent increase – and a more significant increase in medical costs if their hemoglobin A1c levels were at or above 7 percent. For that group, with weight gain and poorly controlled blood sugar, costs rose by $1,473, on average, or 14 percent. Heart failure, depression and insulin use were also associated with greater health costs. She also pointed out how important it is for patients using insulin to pay close attention to their weight. Losing weight under any circumstances is difficult, noted Nichols.